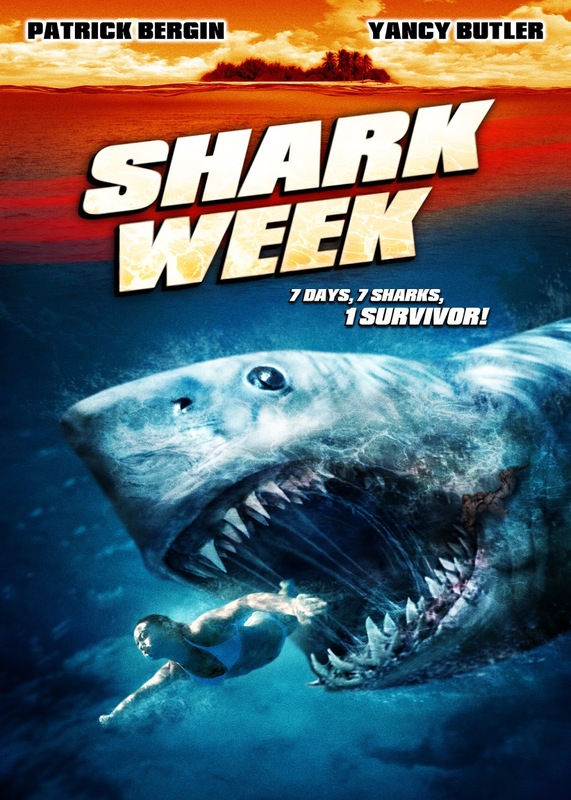 SHARK WEEK deals with a group of bad Equity actors who are kidnapped by a couple of D-list actors (Patrick Bergin, Yancy Butler) and forced to endure CGI shark challenges across an island in the Bahamas in an effort to survive. This shark's bite-less mess is available for streaming on Netflix, but as always, you're better off leaving the cinematic shark repellent to us and finding something with actual sharks in it to watch. Like SHOWGIRLS, for instance. Our special guest this time out is Meredith Thomas, who plays the role of Francine in the film. Meredith's numerous TV and film credits include, CAMP, BOOMERANG KIDS, and DEMOCRACY AT WORK. You can follow her on Twitter @MeredithActress.